Enjoy a delicious chefs special starter comprised of: Steam thai dumpling stuffed with chicken ina flower/bird shape, with mini crispy golden pastry baskets, parcels of thin crispy pastry filled with chicken and prawn, marinated minced pork and prawns wrapped with egg net, deep-fried marinated pork wrapped in Chinese vermicelli. Book online for free text confirmation or call 0114 421 4800 . 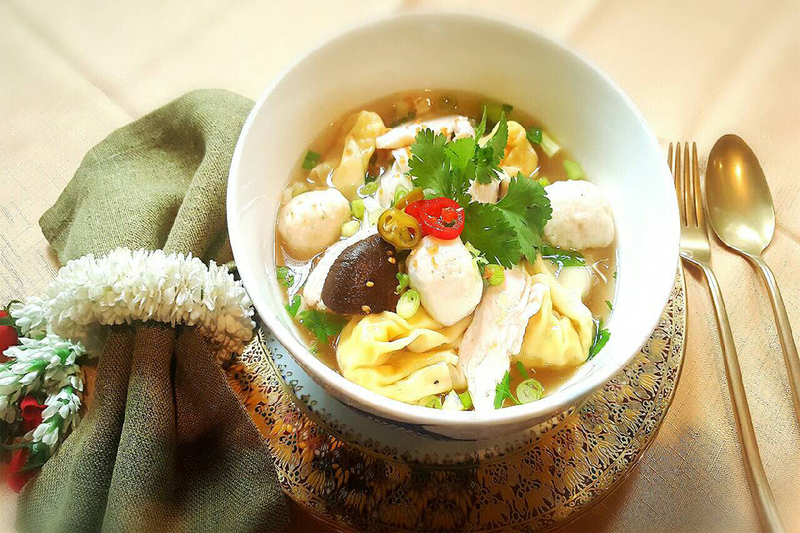 Tuck into a light treat with traditional Thai soups, starting at only £5.00 Book online for free text confirmation or call 0114 421 4800 . Enjoy a pleasant variety of mouthwatering seafood dishes from only £11.50. Book online for free text confirmation or call 0114 421 4800 . Tuck into a delicious starter, main, rice and dessert for only £20.95 per person. Book now for free confirmation Book online for free text confirmation or call 0114 421 4800 . Tuck into an exquisite starter, main, rice and dessert for only £21.95 per person. Book now for free confirmation Book online for free text confirmation or call 0114 421 4800 . Enjoy a delicious starter, main, rice and dessert for only £19.95 per person. Book now for free confirmation Book online for free text confirmation or call 0114 421 4800 . Lovely staff and welcome, beautiful room and high quality presentation. Fantastic food! This is my favourite Thai restaurant I have ever been to! Love it. The staff are polite, and the service is great and it looks so decorative and magical! As always the restaurant was excellent. It's changed name apparently since I last visited, but that didn't seem to have had any effect. Food excellent, not too spicy (I had a two chilly dish), service quick. I've taken off 1 star from ambiance for the light jazz lounge music that was playing, not really in keeping with the Thai theme and decor. The food was absolutely gorgeous. The service wasn't quick, so it's a good thing we left ourselves plenty of time! Wonderful experience but food was not quite as spicy as on previous occasions. Service was excellent and premises beautiful. Stunning food and decor. Excellent attentive service. Just don't look too hard at the state of the electrics like plugs and sockets lying on top of hot radiators. A lovely place and we hope to go again soon. The service and quality of food we received was superb. Food here is excellent at a very resonable price. Service was flawless; I would highly recommend this to others. The food and service were excellent. Very friendly staff. First time we had taken the kids for a Thai meal and it was a really good experience - something for everyone. Very impressed with the meal.. & the booking was easy too .. had a reminder from the restaurant to confirm the booking too.. I will return! Food was good but quantity for starters was a little less. I had vegetarian green curry for main course and it was delicious. An overall good experience at Baan Thai. Fantastic service and food at Baan Thai. The whole place has an amazing ambiance to it, and the staff are polite and helpful. My partner and I both had duck dishes and they were delicious. For such a lovely looking restaurant, with such amazing food, the price was surprisingly cheap. Definitely going back there again. Great food, will certainly recommend and go again! Good food but service a little slow. Restaurant very cold - more adequate heating would improve the experience. 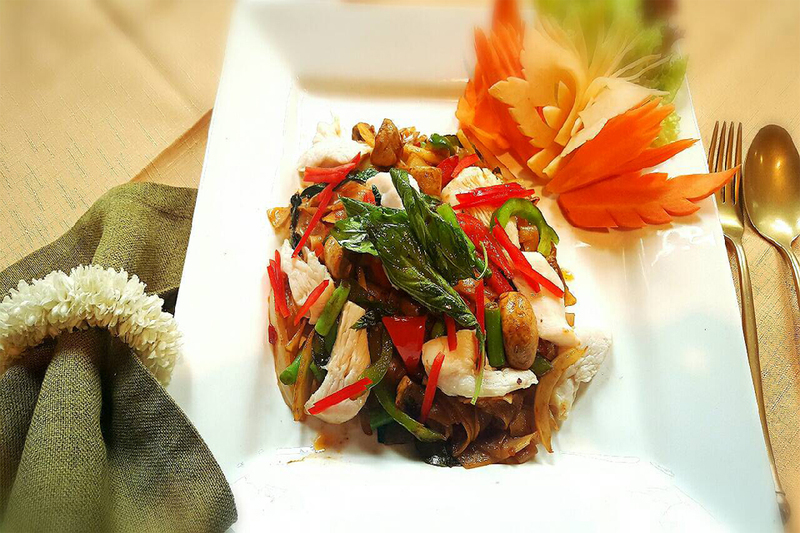 Great quality Thai food with a wide variety on the menu and very attentive service. Also good value! Lovely authentic Thai food, some of the best we have had outside of Thailand. Service was very good as well. Beautiful restaurant and served beautiful food by beautiful people! Baan Thai was excellent the staff were very attentive and friendly. The food was the best I have ever eaten. It was aromatic, full of flavour and excellent value for money. I will be visiting again thank you. This is the best and most authentic Thai meal we have ever had. Absolutely loved it. The service was attentive, welcoming and child-friendly. The food was superb - the menu is huge and it is difficult to choose one dish to have so we all chose and then shared. The old building is lovely and we will be holding a special occassion here very soon. Baan Thai restaurant in Sheffield is located on the corner of London Road and St Mary’s Gate next to Waitrose. It is a five minute drive from Sheffield rail station and just a twenty minute walk from the centre of Sheffield’s nightlife that features bars such as Walkabout and Lloyds. Baan Thai is an unusual building, an imposing stone structure standing proudly on its own. Do not be put off by its lone figure, inside is one of Sheffield’s favourite Thai restaurants. 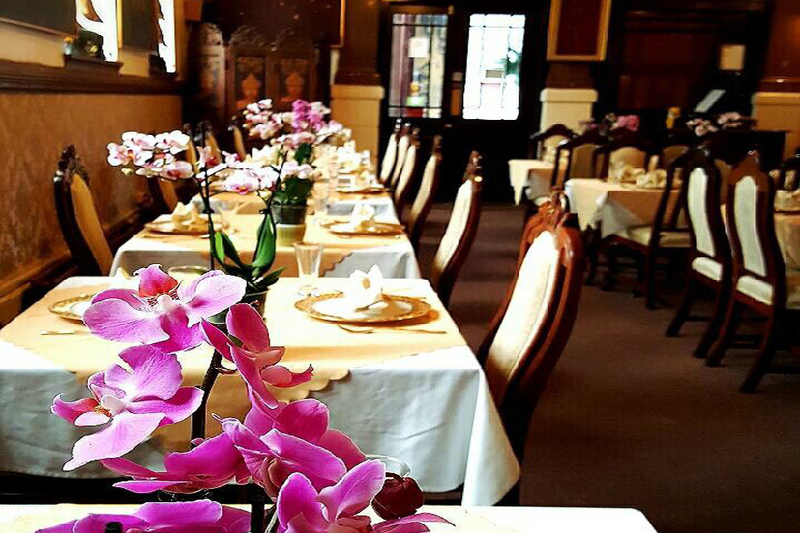 As you step inside the restaurant you are greeted by friendly staff and a traditionally decorated dining room that is sympathetic to the building’s history as well as reflecting Thai décor tastefully. 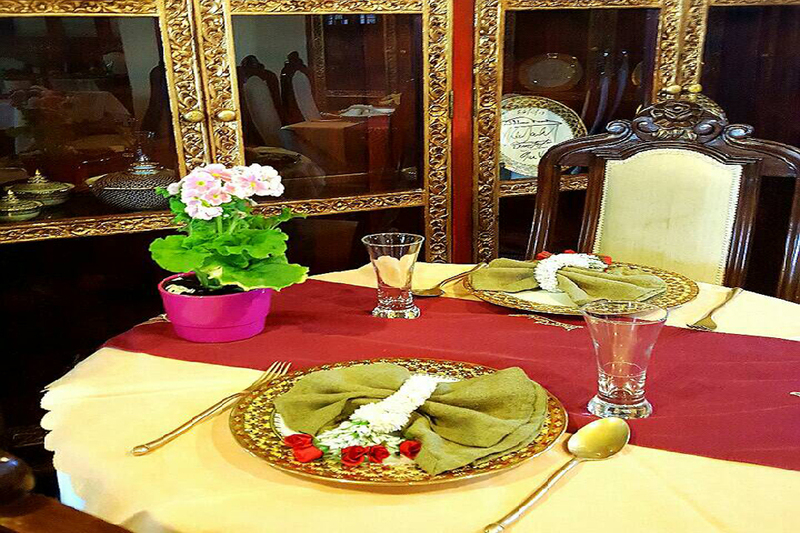 This venue would be perfect for a special occasion and the effort that has been put into the design on the restaurant matches the passion put in to the food. Thai food is typically served in small bite sized pieces and is designed to be shared and enjoyed. Baan Thai offers the very best Thai flavours with the combination of sweet, hot, sour, salty and bitter being delicately balanced in each and every dish. 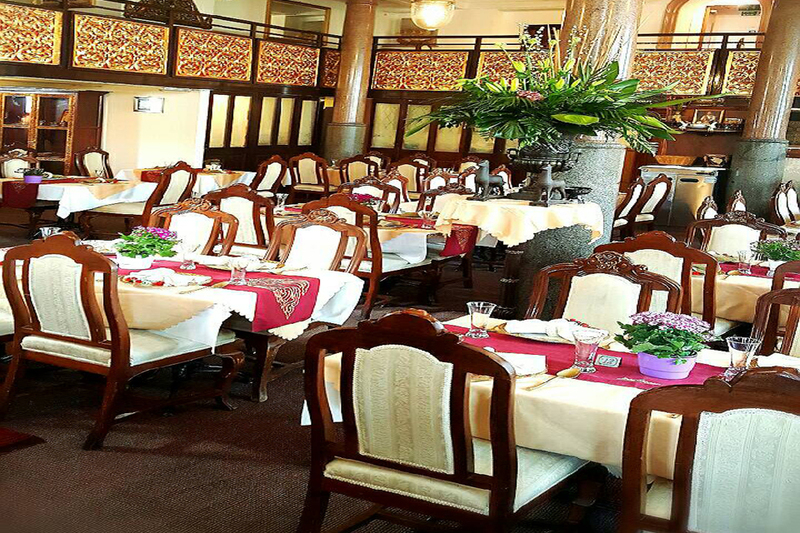 The menu is extensive and offers every diner something that they will enjoy. Starters such as Thoong Tang; a thin, crispy parcel filled with an exotic stuffing of chicken, vegetables and prawns served with a rich, sticky plum sauce, or the Tom Yum Goong; the famous spicy, hot and sour soup with prawns and mushrooms and flavoured with lemon grass, lime leaves and a squeeze of fresh lime for to two share, are the perfect introduction to Thai food. 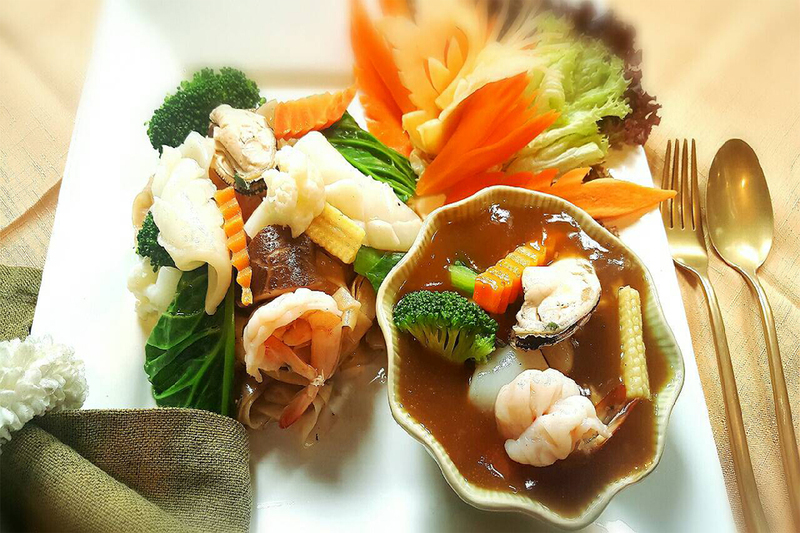 For main, classic dishes such as Gaeng Kiew Waan Gai, Thai green chicken curry, grace the pages as well as more unusual Thai delicacies. 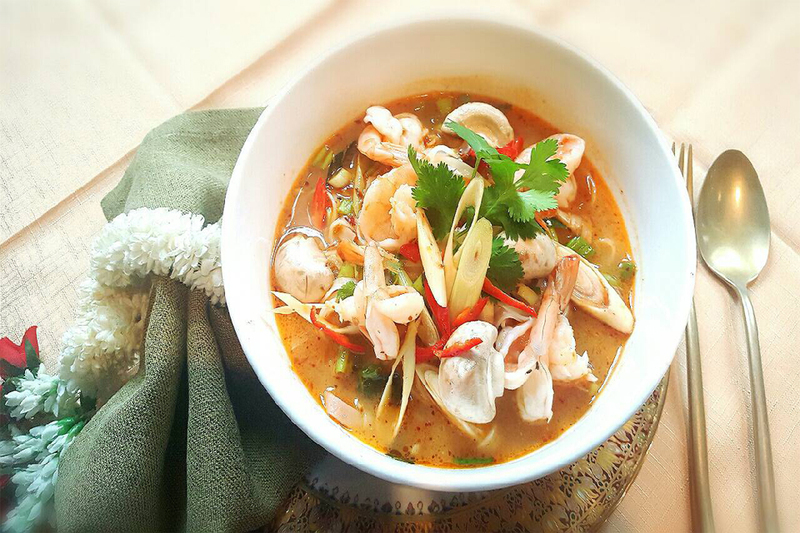 Baan Thai is a very reasonably priced restaurant and the set menus are great value. On a Sunday a Thai buffet is also available at lunchtimes. A visit to Baan Thai is highly recommended if you are looking for delicious Thai food in Sheffield. It’s décor and central location mean that it is the perfect venue for hosting a special occasion before sampling Sheffield’s nightlife.